At Palmieri Tyler, our lawyers in Irvine, CA represent property owners in eminent domain proceedings and other land valuation and use-related matters throughout California. Our attorneys have years of experience representing the interests and defending the rights of our clients against government intrusion and regulatory overreach. We know the importance of property rights to your livelihood and your future, and it’s our mission to protect both. Under the federal and California constitutions, federal, state, and local governmental entities have authority to acquire private property for a public purpose. This power is known as the government’s right of “eminent domain,” also sometimes referred to as the “takings” power. A typical exercise of eminent domain authority might be, for example, forcing the sale of private land needed for a highway right-of-way. In California, state and local governments’ rights to exercise eminent domain authority are governed by the Eminent Domain Law. The exercise of eminent domain powers often causes problems for California property owners. By the eminent domain law, owners can only be forced to sell their property for a legitimate public purpose and must receive “just compensation” in return. In practice, governmental authorities abuse their eminent domain powers by taking property for improper reasons, failing to follow required processes, and trying to pay landowners a fraction of the market value of their properties. The government may even refuse to pay compensation by claiming property was taken under the doctrine of “police power,” which permits the taking or destruction of property without compensation in the interest of public health and safety, such as clearing trees from private property to stop the spread of a wildfire. Our Irvine lawyers represent California property owners in matters involving governmental abuses of the eminent domain power, helping our clients defend and enforce their constitutional and statutory rights. In eminent domain matters, the term “condemnation” refers to the court-administered process through which property can be taken for a public purpose. In California, the Eminent Domain Law prescribes extensive procedures government entities must follow when they want to acquire private property through eminent domain. The procedures help ensure governmental authorities only take property for appropriate purposes and with just compensation. We routinely represent property-owner clients in these court proceedings and in negotiations with government entities who have attempted to acquire our clients’ property for lowball amounts. Our track record of success in these proceedings is reflected in the significant increases in compensation offers we’ve achieved for our clients. Our lawyers also represent clients in matters regarding “inverse condemnation” laws. Sometimes, a government entity effectively “takes” private property for public use without following the condemnation procedure above, and without paying just compensation. For example, a local government might pass a regulation that accomplishes its public purpose by eliminating all viable uses of a parcel of private property. In these cases, California property owners have the right to institute an “inverse condemnation” action in court to force the government to acquire that property and pay just compensation. Our lawyers extend their practice to a wide range of disputes over the value of a property. Eminent domain law cases routinely involve disputes of this nature, such as when parties disagree about the amount of just compensation due or the diminution in value of a property affected by a government regulation. But, obviously, disagreements over property valuation can also arise in non-eminent domain contexts. For example, our lawyers commonly represent clients in disputes over the value of property in connection with the sale of a business, the partition of marital or family property, and the termination or buyout of a commercial lease. In all of these types of matters, our clients require experienced counsel who understand the appropriate methodologies for establishing the value of a property for various uses. We often work with valuation professionals, engineers, and other professionals to conduct detailed valuations on our clients’ behalf. When the term of a lease expires, or when the circumstances of the business conducted on leased premises change, parties often seek to renegotiate lease prices based on the value of the leased property. At Palmieri Tyler, our lawyers frequently represent parties to commercial leases working to establish an appropriate valuation for the premises for purposes of renewing or renegotiating the lease. 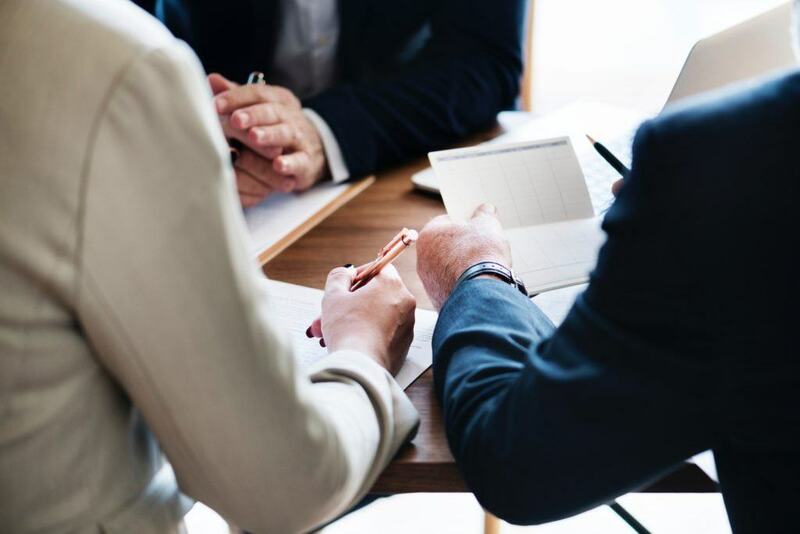 This can include counseling business owners faced with large rate increases because of the growth of their business, as well as property owners whose land has appreciated substantially over the course of a long-term lease. As in property valuation disputes, our lawyers often work with financial and design professionals in making our clients’ case for a particular valuation. Land values and land use are inextricably intertwined. Federal, state, and local regulations – particularly sweeping environmental statutes like the California Environmental Quality Act (CEQA) – can impose significant limitations on what a property owner can and can’t do on a parcel of land. They also create risks for landowners not familiar with how those regulations work. Failing to comply with CEQA and other rules could cost a property owner millions in lost value or interruption of a business. The lawyers at Palmieri Tyler represent individuals and enterprises in a wide variety of California land use issues. We have advised clients on complying with environmental regulations in the context of land development, and have defended clients in regulatory enforcement actions by federal, state, and local regulators seeking to limit their actions. CEQA, in particular, creates hurdles for most any physical development of land in California requiring governmental approval. We help guide clients through the CEQA environmental review process so that their development projects do not bog down. We also defend clients in CEQA litigation seeking to stop land development from proceeding. If you are a California property owner who is the subject of government attempts to take or regulate your property, or if you face a dispute or negotiation over the value of your property, contact the lawyers at Palmieri Tyler today to schedule a free initial consultation on your eminent domain law case.